The Chimney Pots is a challenging hiking track located in Grampians National Park which is best known for its spectacular views and great scenery. The track to the summit only covers 3.7kms, but the track is considered hard as it is steep and parts of the parth are rocky which requires some careful manoeuvring. The best way to describe the Chimney Pots is that they are a giant formation made of sandstone whose distinct cliffs and ledges rise up into the sky. The pinnacle sits at 320 metres above sea level and is very popular with rock climbers. That said, novice hikers can make the trek if they are prepared. The walk takes around 3 hours to complete, depending on your fitness. Start your walk from the carpark and walk along the marked track. You will see the Chimney Pots ahead of you. The walking trails encircle the mountain, so visitors can choose to go in a clockwise or anticlockwise direction to explore the cliffs. Many people opt to travel clockwise, which makes for a sharp decent upward, but a much easier walk down. There are a number of beautiful vantage points along the way where you can stop to catch your breath, and to take some pictures. Once at the summit, look out for Mount Abrupt and Mount Sturgeon in the distance. 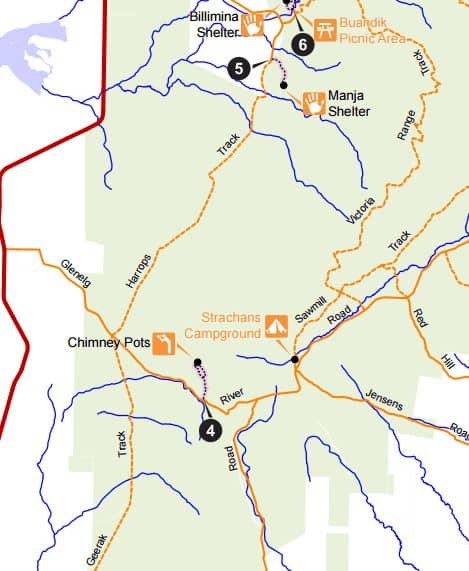 As the walking trail is located in the Grampians National Park, dogs are not permitted. Make sure to wear sturdy walking shoes and take plenty of water. Also, make sure to dress appropriately, as the temperature can be very cold during the winter and searingly hot during summer. This trail is not suitable for those with mobility issues or for young children, as some portions are very steep and some rock scrambling is required near the top. 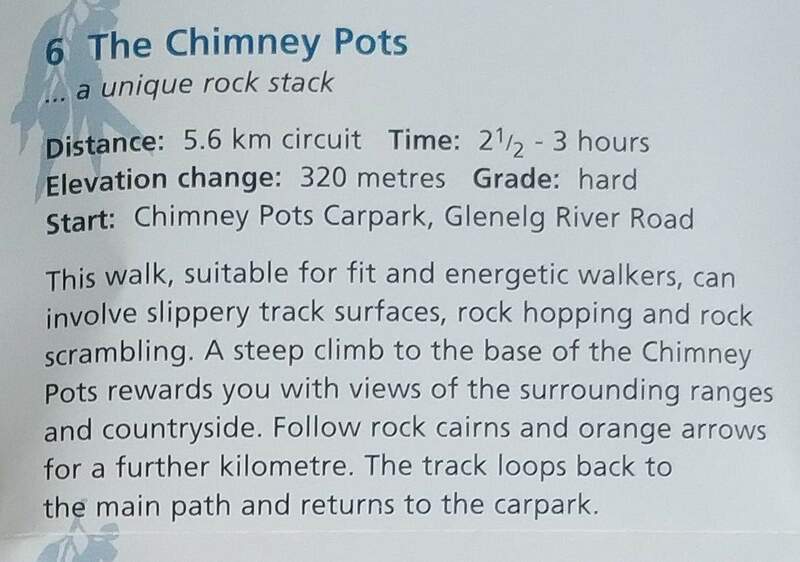 So if you are looking for a challenging track during your next trip to the Grampians, the Chimney Pots might be the right walk for you.